Collaroy SLSC member Darryll Ford supported by the Lions Clubs and surf clubs North Narrabeen, South Narrabeen and later Narrabeen Beach, raised $6000 to purchase a jet boat. Warringah Council agreed to build a boatshed and club house to house the boat and a radio service. The boat was christened the Paul Jackman. Because of the need to be in contact with the shore, the Association conducted experiments with 2 way VHF radios and with their waterproofing. The boat maintained radio contact not only with its base but also the four clubs along the beach, allowing it to respond quickly to any emergency. With the new club house and new boat, the Fishermans Beach Power Boat Association was formed from the members of Collaroy and South and North Narrabeen surf clubs. The newly formed Narrabeen Beach SLSC would also later join the Association. Bob Maladay was elected the foundation Captain. The Association joined with jet boat operations at Freshwater, Newport and Whale Beach to form a branch power boat committee. It proved a very good boat and performed a lot of valuable rescue work, both through patrolling the beaches between Collaroy and North Narrabeen and in off-shore rescue work. Members of the Association were frequently awakened in the middle of the night by police to answer a distress flare and often coordinated with other rescue services. Through the 1970s there were increasing concerns about the viability of the service. By the early 1980s was used exclusively by the Shire’s life guards until it was finally discontinued. 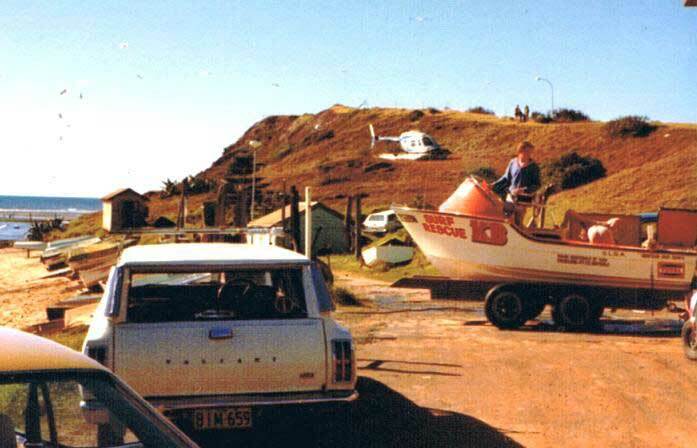 By 1984 surf clubs were using their own IRB motorized rescue craft. The old club house is now the radio headquarters of Warringah Surf Rescue. Called the Radio shack it manages all twenty one northern beaches SLS Clubs.The down stairs boatshed, council converted into a Community Education and Training room. During the summer months Fishcare Volunteers Long Reef open the room’s marine exhibits to the public for viewing and conduct community “Reef Walks”. For details see Guided Reef Walks on our website. Research information from the book – Vigilant & Victorious by Sean Brawley, A Community History of Collaroy SLSC 1911-1995.